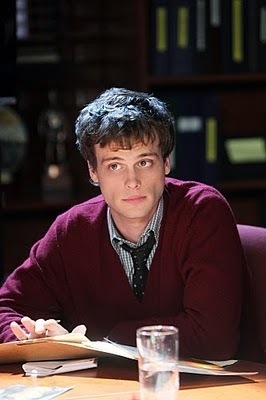 Reid "Devils Night". The BAU team must find a killer who has struck Detroit for the past three years solely during the raucous pre-Halloween celebration. Wallpaper and background images in the Dr.スペンサー・リード club tagged: criminal minds dr: spencer reid season 6 matthew gray guber dr. spencer reid. This Dr.スペンサー・リード photo might contain 夕食のテーブル, ビヤホール, ブラッセリー, ブラッスリー, and ディナー. Awwww i love this pic. He is literally just too cute for words. also *faints* !!!!!!! soooooo cute!! !